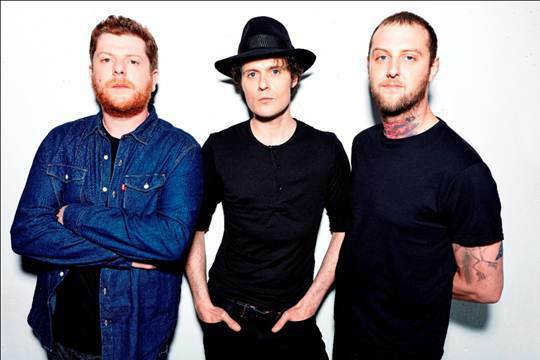 Glaswegian trio The Fratellis are back with a new album – which means they're also back on the road. 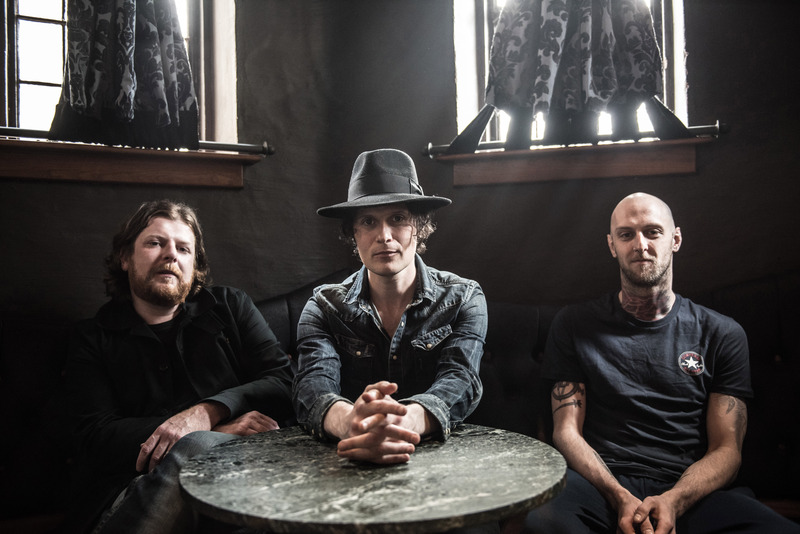 They play Birmingham's O2 Academy on August 20, then they return to the Midlands on November 13 for a gig at The Copper Rooms, Coventry. Following the release of their last record, We Need Medicine, in 2013 Jon, Barry and Mince Fratelli spent 12 months touring the world, including a first visit to Russia. "It was nicely surprising and kinda fortunate that we were able to go and play – and play for so long,'' admits Jon. ''We got a year, all over the world, out of We Need Medicine. Which is pretty good going." 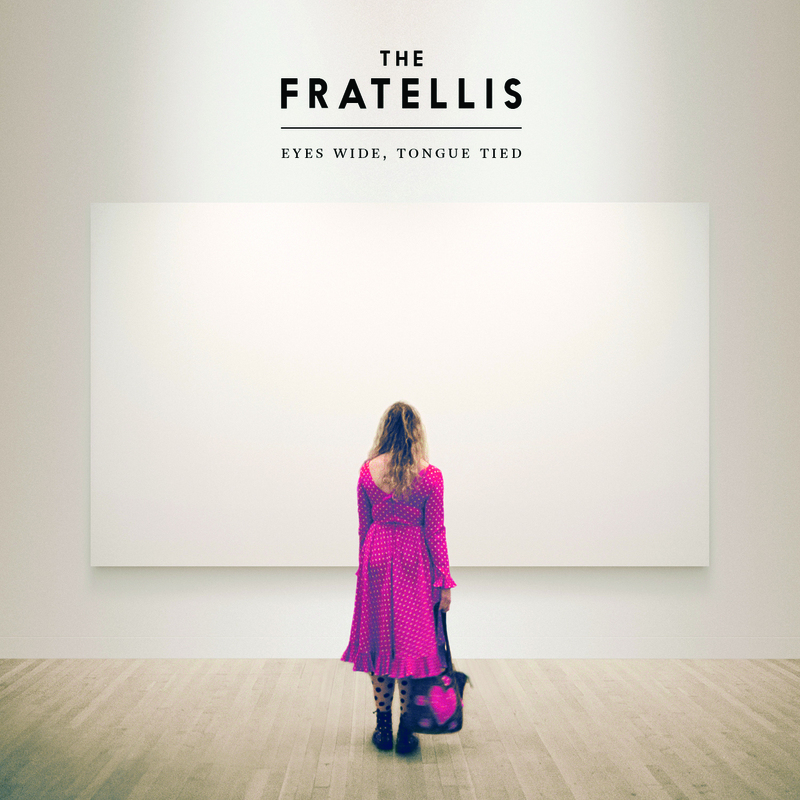 The new release, Eyes Wide, Tongue Tied, their fourth long player, is, I can report, right up there with debut album Costello Music and should see them on the road for at least another 12 months. Set for release on August 21, it was recorded in Los Angeles with Tony Hoffer who helmed both Costello Music and Jon's solo album, Psycho Jukebox. The trio went straight from their tour to LA and Jon promptly ditched most of the songs he'd written a few months previously. The only songs that survived are the first two on the album. Me And The Devil sounds like a James Bond film theme, opening proceedings with an atmospheric sweep. The other holdover is Imposters (Little By Little). "I normally demo things in the house, and I use very straightforward descriptions, and I'm sure that one was called 'Rockabilly Demo','' Jon reveals. ''But I think Tony took it away from being straight rockabilly. All the elements of it are definitely rockabilly and country, there's no getting away from that. But he definitely added an element of… I don't want to call it electronic but there's a lot of little synth and drum-machine ideas going on in there, which I would ever have known (a) how to do, or even (b) had the idea." The songs written when the recording sessions began show how Jon is broadening his musical palette. Rosanna is, at heart, a classic country song, but one flecked out and built up with woozy strings and layers of backing vocals. Jon explains: "I won't deny the fact that my sensibilities definitely head in that traditional direction. I have the odd moment where I branch out and I feel bold! But that sort of traditional songwriting thing, I don't find it boring at all, or confining. It's always got enough going for it to keep me engaged. And it probably always will. "But as soon as Tony came on board the writing was easy. I can't remember writing more songs than that in such a short space of time." Dogtown recalls The Beatles' Come Together. "Another one that wrote itself," shrugs Jon. "I'd made the solo record with Tony, and it was really obvious on that that he was always looking for you to weird things up a little bit – whether structure or melody or lyrics. He was always looking for that something extra, and so Dogtown fitted that bill." New single Baby Don't You Lie To Me contrasts with a glam tune and a Fratellis-shaped swagger. It is, in turn, different again from Desperate Guy, a driving blues anthem with a cracked vocal from Jon. The album's final song, Moonshine, rounds things off in a drifting, bluesy mood. "I love that song. I double-, triple- and quadruple-tracked a million vocals on this record, and there's a lot of expression in Moonshine,'' Jon says. ''To double-track something with a lot of nuance and expression just takes an age to get it perfect. But it does round things off nicely. We've got no shortage of rock'n'roll songs, so it was just nice to finish quietly." Jon and the band are delighted with the album. "When we listened to the mixes recently I remember smiling uncontrollably. It's the same feeling I get when I see my son, who plays drums and who is utterly, utterly obsessed with music. I was getting glimpses of that feeling you got when you first started playing – and when I put this record on when we first got it back, I had that same feeling: wow, look what we did. It's really basic and inarguable when you get that feeling. "But also, to be honest, Barry, Mince and I get it every time we go out and play. On stage every night, it seems recaptured. So it seems unending, really. You walk on, no matter how terrible the day's been, and you're back to being that excited 17-year-old. And if that keeps going, we'll keep going." Aug 29: Victorious Festival, Southsea. Nov 22: O2 Academy, Newcastle.